Digital wallets are an easy and secure way to make purchases with your U of I Community Credit Union debit and/or credit card. When you make a purchase using digital wallets, your card number is turned into a unique token for your card and the specific transaction that you are making. This means that your actual card number is not shared with the merchant’s card reader. Once you have loaded your card(s) into your digital wallet, making purchases has never been easier. You do not need to swipe or insert or your card, simply hold your mobile device up to the card reader at participating merchants to make a transaction. How do I add my U of I Community Credit Union debit and/or credit card to my Digital Wallet? Is there a charge for using Digital Wallets? 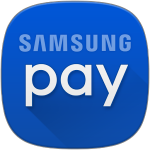 There is no cost for Apple Pay, Samsung Pay, or Google Pay from the credit union. An active data plan is required on your mobile device. Based on your wireless plan and mobile carrier’s offering, additional message and data charges may apply. Your credit card terms and conditions, debit card terms and conditions, and account agreement will apply for purchases. Where can I use Digital Wallets? Apple Pay, Samsung Pay, and Google Pay are available for payment in stores and in mobile applications. See participating retailers or look for either Apple Pay, Samsung Pay, or Google Pay icons at the merchant checkout. What devices support Digital Wallets? If your device is lost or stolen, you can suspend Apple Pay by using the “Find my iPhone” app or visiting www.icloud.com and selecting the option for “Lost Mode.” You will also be given the option to “Erase All” on www.icloud.com. This will delete all cards from Apple Pay and the Secure Element. If in doubt regarding the status of your U of I Community Credit Union cards in Apple Pay, please contact the credit union by using the number on the back of your card. If you find your phone, you can unsuspend Apple Pay by following the prompts on your phone or via “Find my iPhone” app. Does my mobile device store my debit and/or credit card number? When you add your U of I Community Credit Union debit and/or credit cards to Digital Wallets (Apple Pay, Samsung Pay, or Google Pay), the number from your plastic debit or credit card is replaced with a secure device account number (also called a token). This token is passed onto the merchant for payment instead of your actual card number. Why is my U of I Community Credit Union debit card image different on my phone than my actual card? The image you see in Digital Wallets for your U of I Community Credit Union debit card is the new card design that will be coming soon. This new design reflects our name and logo change from our recent rebrand.